5 months home and quite wonderful except the stressful parts. But even those are good. Full focus on working with the awesome humans ar Rat and taking the company up a notch or two. As part of my non tour happiness I have finally bought a Tesla as I have been planning for quite some time. My tesla adventure started about 5 years ago when I saved a bit of tour money and bought 150 shares of stock in the company. I bought it not because I thought it would gain value, but rather, because I wanted electric cars to be a part of our future, and as with many things, I do my best to add actions to my words and and desires. 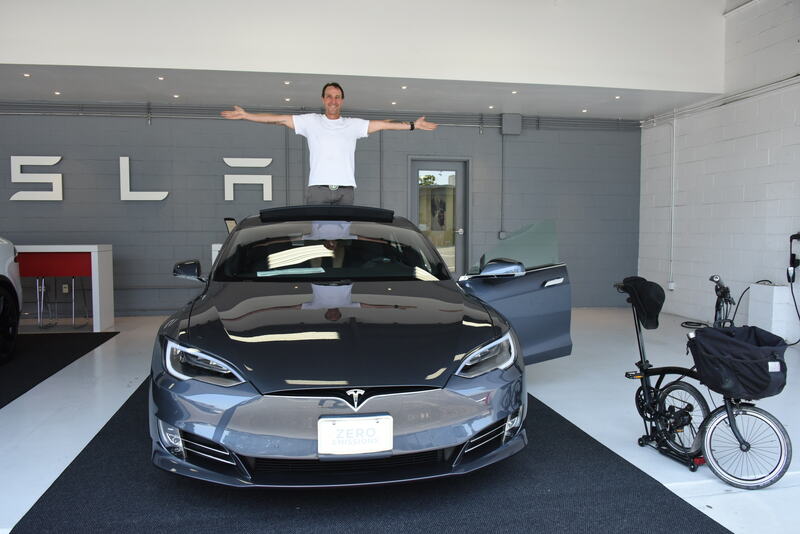 So the share went up and I pulled out my original investment and used it to put deposit on a Tesla model X, SUV and after nearly 2 years, took a test drive. The car was awesome but the gull wing doors combined with non folding seats made carrying a surfboard impracticle. Why would I want a car I can’t surf with? Also, while touring, buying my first really expensive car seemed such a waste, never been one much interested in being showy or posh as I prefer practical, except when it comes to sound, where I enjoy to immerse in excessive power and impact. So when after 27 years I finally turned in my tour pass and headed home to pretend I am a normal non nomadic human, the time finally came to take the plunge. A model S 100D with surf racks and autopilot that costs nearly as much as I paid for 3 bedroom house I bought in Big Bear, 21 years ago. Both ouch and also, compared to the yearly budget on short lived sound equipment Rat spends, not a big deal. So over the next chunk of posts, I figure I will share the my experiences and observations for those that are interested. will mix some of that in as well. One of the most exciting and challenging adventures since I have been home has been traveling to Austin Texas to be the keynote speaker at Cirrus Logic’s innovation conference. Wow, a true honor to get to speak to and hang with some wickedly smart silicon chip designers. Thank you Cirrus.